Dry fire training is one of the best values you get training-wise. Unless, of course, you’re independently wealthy and can afford unlimited ammo, or are fortunate enough to get to shoot on the taxpayer’s dime. 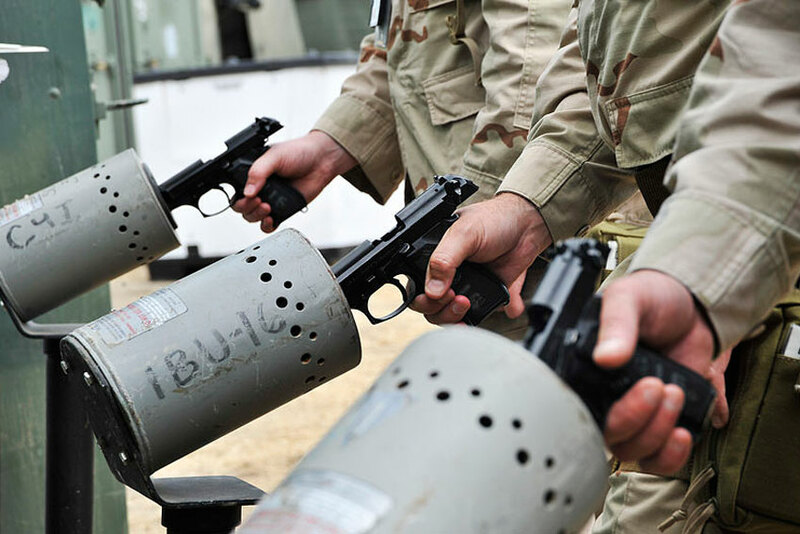 An additional benefit is that you don’t incur the cost of time and money that accompanies going to the range (though you can and should perform a few rounds of dry fire before any live fire on the range). You can even practice dry fire by clearing your house in your underwear (not that the author will ever admit to such a practice). The problem with dry fire training is that without feedback, you can introduce a form of cognitive bias. Because you can’t punch holes in your wall, you have no idea if your shooting mechanics are sound. Even the use of a laser without some sort of target that records data isn’t helpful, as you still have no idea where that shot actually went. So you end up thinking that you’re doing a good job and may perform an action hundreds of times, only to the get to the range, fire some live rounds and realize you’ve programmed yourself to do something counter-productive. That’s where the MantisX comes in. It allows you to get valuable feedback you can use to improve the quality of your dry fire practice. The MantisX is dead simple. You attach the charged device to the picatinny rail of your handgun (or to an optional magazine base plate adapter). Once the device is attached, simply open the app on your iOS or Android phone or tablet, connect the device and start training. 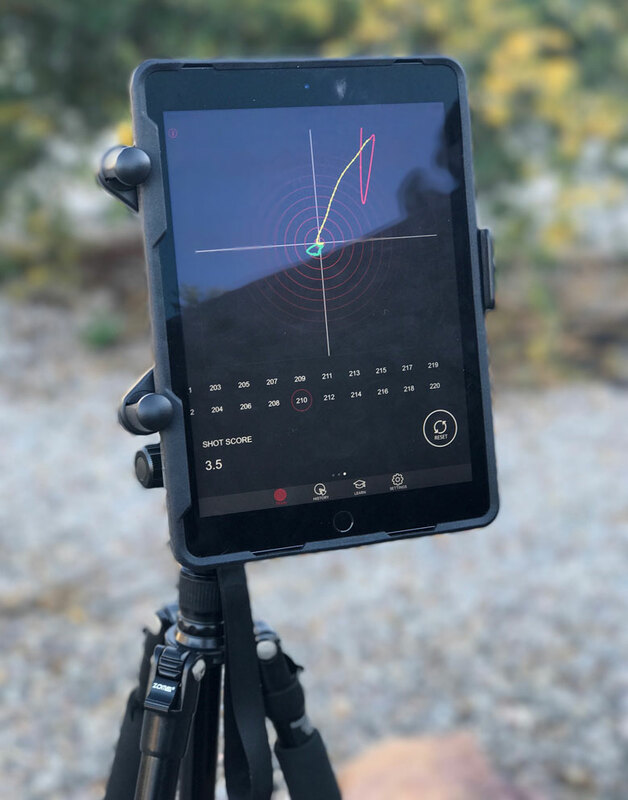 When you first connect the MantisX and launch the app, it will calibrate by asking you to set your firearm down. The process takes a couple of seconds and then you’re ready to begin using it. 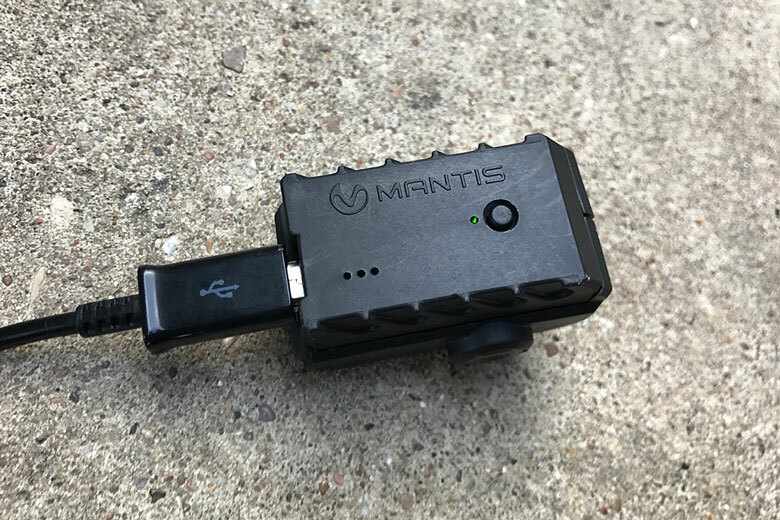 The MantisX charges using a micro-USB and can generally be charged while still attached, unless you had to mount it backwards. Don’t worry, it doesn’t affect functionality. 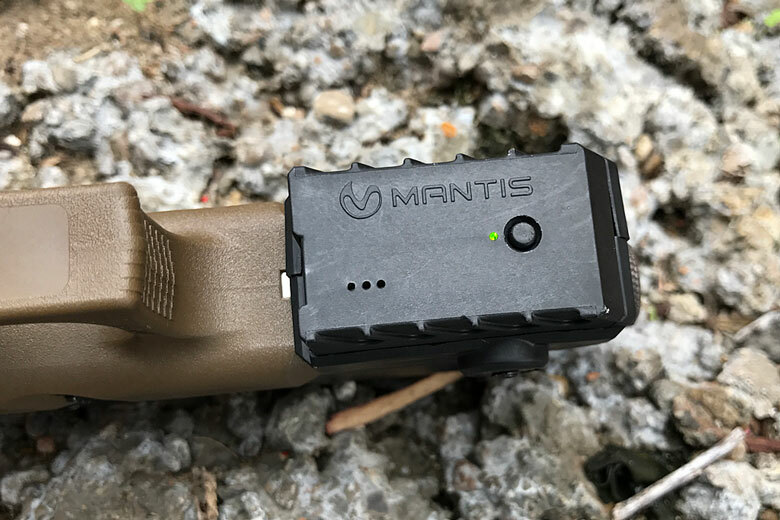 The MantisX basically tracks micro-movements of your gun from just before you pull the trigger to just after; about 300 milliseconds of recording time. 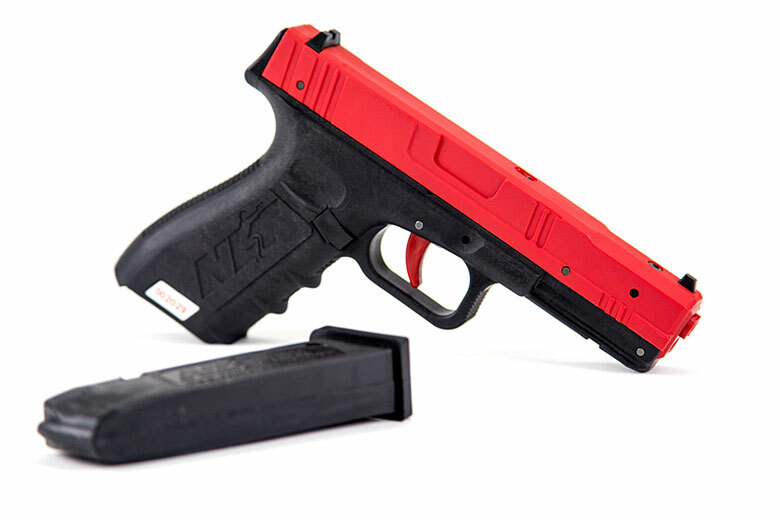 It’s designed to work with any firing scenario. 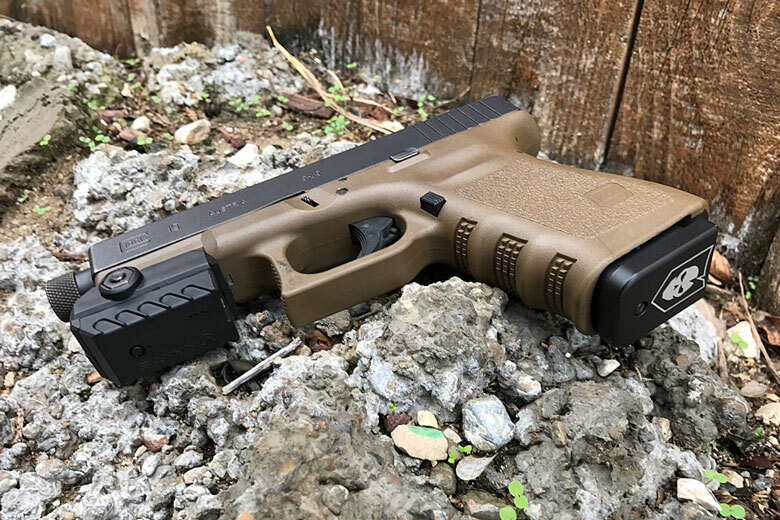 From dry fire to live rounds and everything in between (including CO2 systems like CoolFire and even Airsoft). The very first iteration I used of the MantisX app (right after SHOT 2016) was pretty limited. It showed some basic data indicating hand movement and had some information pages demonstrating how to correct the imperfections noted while shooting. The current app is significantly different and is a testament to the pretty aggressive update cycle MantisX seems to be adhering to (every six to eight weeks). 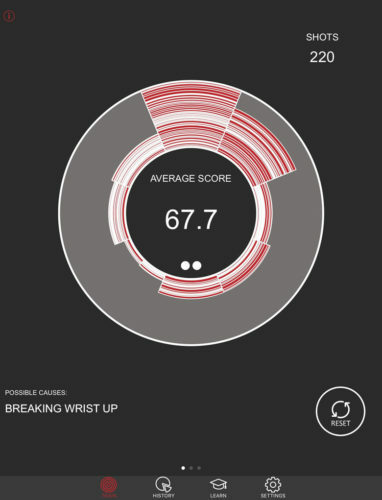 While maintaining the same “deflection” wheel, it adds some new screens to help you understand the movement. This is super cool, especially for data nerds like me. I found the battery life to be decent and a full charge lasted me seven days worth of training. It probably would have gone longer, but I try and keep all of my “things” charged and ready to go. I typically do about fifteen to thirty minutes of dry fire training per day, even when traveling. 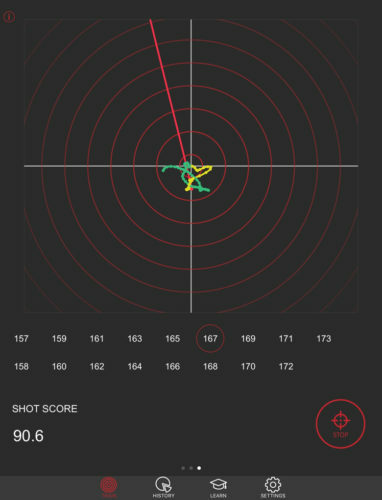 While shooting, you can access three screens: the shot chart, a movement chart and a movement tracker. For my setup, I use an iPad mounted on a tripod using a universal tablet holder. 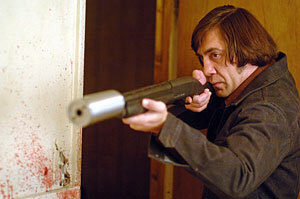 I set it up to my left, just in my field of view, behind the muzzle. That way I avoid brass and accidental replacement of my equipment. I generally keep it on the movement tracker screen. Of the three screens accessible during operation, I find the shot chart to be least useful. It can be helpful to confirm poor movement and would be most helpful for novice shooters. The problem I have with the shot chart is that it always seemed to indicate a problem. Most firearms are more than capable of outperforming the shooter. Even on a shot where I had very little movement during hold and trigger pull, it showed me “Breaking Wrist Up.” Additionally, it showed “heeling” when I had it clamped into a lead sled. What I did (and do) find useful are the other screens. 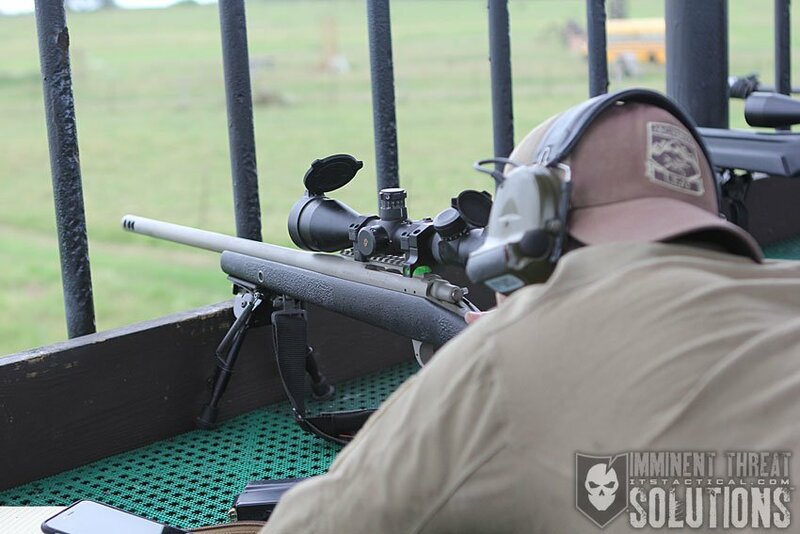 As any competent shooter will tell you, the movements you make during hold and trigger press are the most likely to affect your accuracy. This applies from pistols all the way to precision rifles. Most firearms are more than capable of outperforming the shooter. Minimization of movement is key (or at least being able to control when the shot is placed during that movement cycle.) The movement chart shows the relative amount of movement you had during each shot, both during hold and trigger press. The closer you are to center, the less movement and the higher overall score you get. Tapping on any of the series will take you to the corresponding shot on the third screen. The third and final screen shows the actual recorded movement of the shot mechanics and I find this to be the best of both worlds. The green line represents the 300 milliseconds of time prior to trigger press. Yellow is the trigger press itself, with the red line being everything after the shot breaks. This is generally all over the place. Ideally, you want green and yellow to be tight with little movement. The MantisX shows you the direction and amount of movement away from “center”. 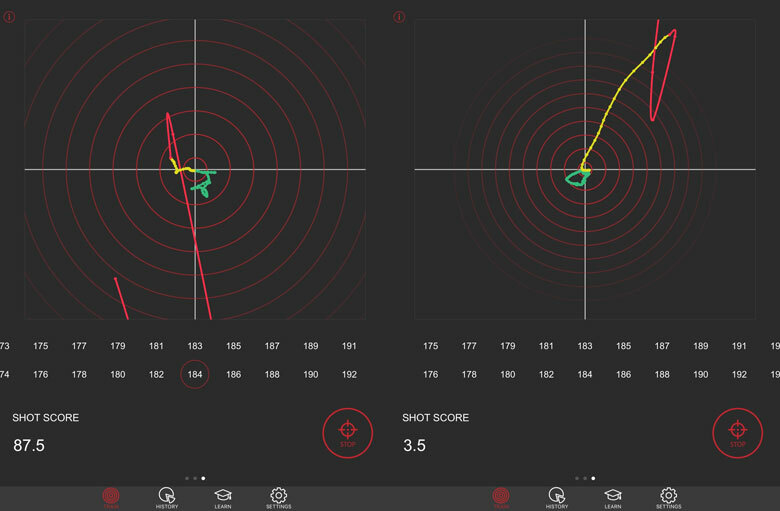 You can see the variation from my 184th shot compared to shot 210 in the screen captures below. I primarily use the system at home while dry firing (or while using my CoolFire system). It’s really helped me be able to “call my shots.” I know when I’ve introduced an error and generally where the error is going to be. I can also confirm from live fire on the range that the movement graph correlates nicely with shot placement. Slow aimed fire with strong focus on the the basic shooting mechanics resulted in tight “green” and “yellow” data and a tight grouping on the paper. Rapid shooting resulted in more variation in the graphs, as well as looser groupings on paper. Overall, I’m generally impressed by both the device and company. MantisX has done a good job of keeping the software updated and adding new features. The base unit remains simple while the data analysis is constantly improving; somewhat future proofing the device. I’m a huge proponent of dry fire training that you later confirm on the range. The MantisX is a great tool to help you get feedback about everything that happens during the firing sequence. It seems to be pretty accurate with respect to the movement, though I would be hesitant to read too much into the shot chart. The MantisX will give you the feedback you should get from a good coach, all from the comfort of your living room. 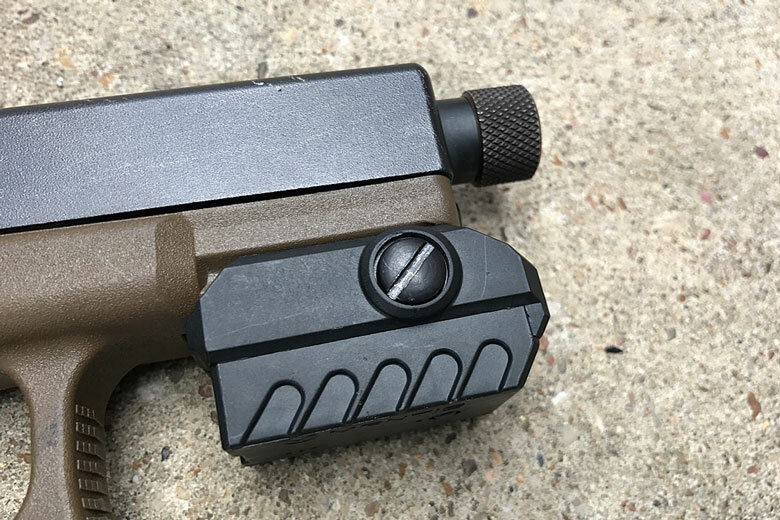 You’ll still need to remember to work on all of the other shooting basics, but for $150, the MantisX can help tune your hold, trigger control and follow through. Editor-in-Chief’s Note: Please join us in welcoming Tom Rader as a Contributor here on ITS. Tom is a former Navy Corpsman that spent some time bumbling around the deserts of Iraq with a Marine Recon unit, kicking in tent flaps and harassing sheep. Prior to that he was a paramedic somewhere in DFW, also doing some Executive Protection work between shifts. Now that those exciting days are behind him, he has embraced his inner “Warrior Hippie” and assaults 14er in his sandals and beard, or engages in rucking adventure challenges while consuming craft beer. To fund these adventures, he writes medical software and builds websites and mobile apps. He hopes that his posts will help you find solid gear that will survive whatever you can throw at it–he is known (in certain circles) for his curse…ahem, ability…to find the breaking point of anything.